One topic that continues to be one of the bigger questions that I have as a teacher is “how to motivate those most difficult to motivate?” I’m not one to jump to providing stickers and other seemingly meaningless “rewards,” so I have been trying some different, more internally motivating practices with my class this year. As with most things in my classroom, what works for some students doesn’t work for others. (Keep in mind the “others” fall under the more challenging to motivate group). I’ve been looking for hints, starting more conversations, and looking out for any clue of what I could use as an additional behavior / motivation system for my kids. One Friday afternoon, I had a light bulb moment. As I watched my students jump, dance, and belly laugh while enjoying a dance party accompanied by Kidz Bop radio, I realized I have a class of pop music loving children. They bond and converse about their favorite artists, top iTunes songs, and hum these, sometimes unfortunately, catchy pop songs. Ding ding ding! Why not use this as a motivator? After some research and logistics, I have purchased an iPod shuffle for my class. Each child has an individual goal that they were a part in creating. Every day all of my students have the opportunity to earn one check towards that goal. 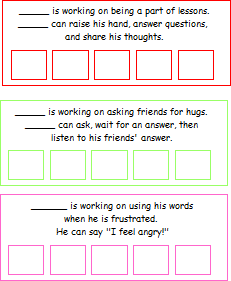 The goals are completely differentiated and match exactly what that one child is working especially hard on right now. At the end of the day I have a “check in” with each child. I let them know whether or not they earned a check for the day and then provide a specific and clear example of why they did or did not receive their check. This 30 second meeting has been meaningful, eye opening, and a safe place where that child and I can talk honestly about what they are working at becoming stronger with. 4 checks equate to the ability to request a song. 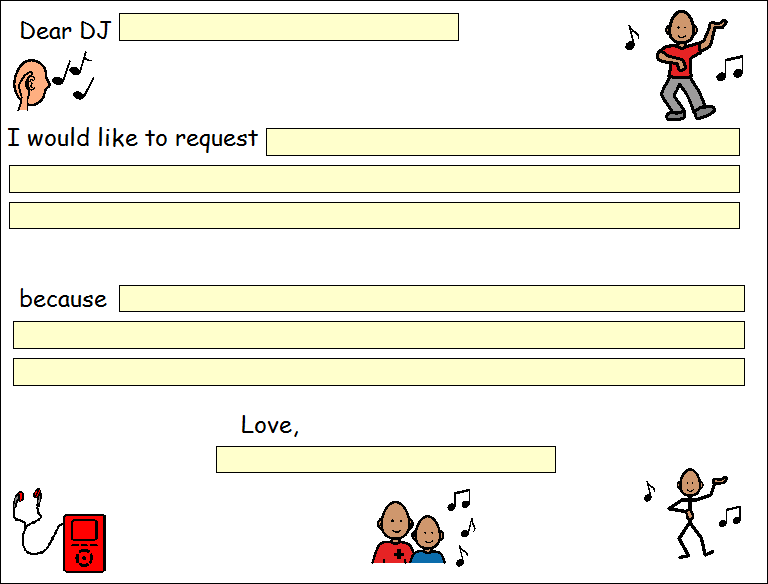 In order to support their writing and reasoning skills, they must write their song request down. They include the song and artist as well as the reason why they want this song on the class iPod. Once teachers okay the lyrics and content, it will then be added to our iPod. Now once they get 5 checks (one more than the requirement for a song request) they can earn iPod time in which they can listen to our class playlist. So far this has been a great system. It feels great to completely differentiate their goals and have them work hard towards a fun reward. Best of all the students who I typically am racking my brain over how to motivate are soaking this up. They are visibly working at their goal, seeking out teachers to help them achieve their goal, and eagerly engage in those end of the day check in conversations to see if they received a check.